Months and months ago (I refuse to get nailed down here because I’m hiding out from how long it’s really been! ), I hinted that things were changing over here at smARTist. I hinted because, honestly, I didn’t know what else to do at the time. 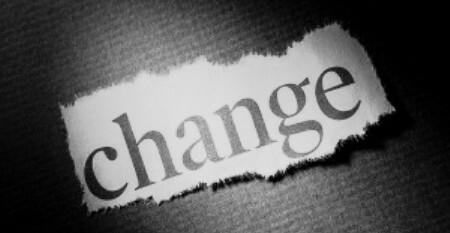 Things were changing – I was changing – but those changes were in a state of fluid transition and so elusive I didn’t know how to articulate what was happening. And for those of you who have been following me for years now, you know that if I can’t find the words to accurately reflect what’s going on, I hide out. I can’t say that anything is lined up perfectly even now, but if I don’t jump off this transition bridge, neither you nor I will have any idea how this next chapter of Ariane of smARTist turns out. find this new direction compelling, or have enough healthy curiosity to stick with me, will come along and add your voice, your vision, and your truth to the conversation. From the beginning, one of my areas of competence and skill has been helping artists on the business and marketing aspects of their careers. Oddly enough, this grew out of my book Writing The Artist Statement: Revealing the True Spirit of Your Work,which specifically points out that working on an artist statement from a business and marketing perspective is a sum-zero approach. You would think I’d have the sense to apply this to my own professional development, but, nope, that’s definitely not how it unrolled. 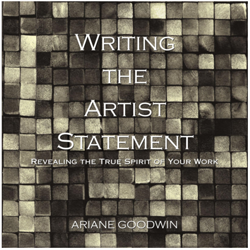 After writing this first (and only) book on artist statements, artists (and their husbands!) began contacting me wanting to know how else I could help. And since I had extensive experience with all aspects of entrepreneurship before getting my doctorate in Creative Behavior and Human Development, I fell into what was familiar, and honestly, most comfortable for me – how to engage the entrepreneur side of being an artist. From that sprang the first, and as far as I know the only professional development conference for visual artists, who wanted to acknowledge that they had, or wanted, a bona fide career. The smARTist Telesummit ran for six years until I pulled the plug after 2012. Once the pressure and enormous work load of that conference fell off my shoulders, I realized that the marketing and business skill sets I had pushed out in front were, in fact, rising out of a much more interesting and deeper place of psyche and spirit. And that’s where I wanted to go – straight into the tangle of undergrowth that supports whether or not an artist is successful. That’s what excites me, gets my juices flowing—all the unexplored territory with it’s exotic fauna and flora that underpins why choose this strategy over that strategy? Or what really drives art sales? Or how does an artist’s relationship to their art and to themselves pull the invisible strings of success? Does this spark something in you too? Then stay tuned because, during this transition, I’ve pulled together A Manifesto For Visual Fine Artists. It’s about two pages long, and I’ll be releasing it next week, right here in this new, Sunday evening blog post series. I’m really excited to have your input. 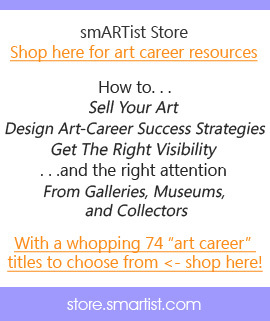 Click here if you feel drawn to the abundant possibilities of one-on-one, art career coaching with me. And we’ll set up a time to talk about what you want most and what’s getting in your way. If our interaction sparks, we can talk about what’s next; if not, I’ll share my most alive, moving-forward ideas for you. Well, looks like your own change she is a com in’! And what are you doing to get the word out?